If the man-made dam that separates China’s financial markets from the rest of the world were removed, which way would the money flow? The sudden boom in Hong Kong’s stock market, driven by mainland Chinese money and the promise of more to come, should leave no doubt. The answer is out – and at considerable speed. Hong Kong’s benchmark stock index rose as much as 6.4 percent on April 9, a day after Chinese investors maxed out their quota on a cross-border investment scheme launched five months ago. The rush is hard to square with actual events. True, China’s regulators on March 27 said the mutual fund industry, with 4.4 trillion yuan ($716 billion) of assets at the end of 2014 according to Z-Ben Advisors, can now participate in the Shanghai-Hong Kong Stock Connect. But it’s unlikely many have. Tweaking paperwork could take weeks. A new fund product requires around 20 days to get ready, Z-Ben estimates. Perhaps investors have just got wise to the gulf between Shanghai and Hong Kong stocks. Shares in Shanghai Electric Group, one of the more popular trades, used to cost 69 percent less in Hong Kong two weeks ago; now the gap is 47 percent. But that is not new. And the stocks aren’t yet interchangeable – though the Hong Kong exchange is considering a way to create something like substitutability, people familiar with the situation say. Most likely, the cause of the rally is simple speculation on the wall of money bursting to get out of the mainland, some of it fuelled by leaked funds already sloshing around in Hong Kong. That makes it problematic. The previous slow start to the Connect scheme was reassuring for regulators on both sides who wanted to avoid the perception they are promoting market manias. The latest surge may actually slow progress towards further opening up. For now the dam is secure, at least as far as the Connect scheme goes. But predicting what happens when it is eventually dismantled must be keeping China’s planners awake at night. Pressure is building, and in the People’s Republic where there’s a will, there is always a workaround. Hong Kong’s Hang Seng Index rose as much as 6.4 percent on April 9. 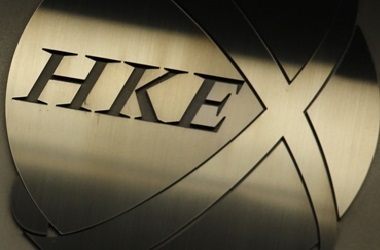 The previous day, Hong Kong Exchanges and Clearing Limited’s securities market turnover rose to an all-time high of HK$252.4 billion, while the market capitalisation of Hong Kong-listed shares reached a record high of HK$28.6 trillion. On April 8, Chinese investors for the first time used their entire daily quota for the Shanghai-Hong Kong Stock Connect scheme, which allows both sides to invest in each other’s markets. The “southbound” turnover, which refers to the combined purchases and sales by mainland investors trading in Hong Kong, was HK$21 billion in a single day, compared with HK$35.6 billion for the whole of March, and a daily average that month of HK$1.6 billion. The premium at which mainland-listed stocks trade to their Hong Kong counterparts dropped from 28 percent at the close of April 8 to a low of 23 percent. The premium, measured by the Hang Seng AH Premium Index, had been as high as 36 percent in late March.